Lincoln has unveiled the 2013 MKT at the Los Angeles Auto Show. The revised crossover offers a dramatically improved ride, sharper handling, better fuel economy, and new safety technologies including rear inflatable seat belts. The new 2013 MKT will go on sale in the spring of 2012. "The 2013 MKT with Continuously Controlled Damping delivers a surprisingly vibrant blend of ride and handling. It’s more than you’d expect from a full-size, three-row luxury crossover," said Scott Tobin, Director, Lincoln Product Development. For 2013, The MKT will be powered by the standard 3.7-liter V6 engine that includes twin independent variable camshaft timing (Ti-VCT) and delivers a total of 300 HP - an increase from the previous 268 HP. Customers will also be able to choose a twin-turbo 3.5-liter EcoBoost V6 engine that delivers a total of 355 HP at 5,700 rpm and 350 lb.-ft. of torque from 1,500 to 5,250 rpm. 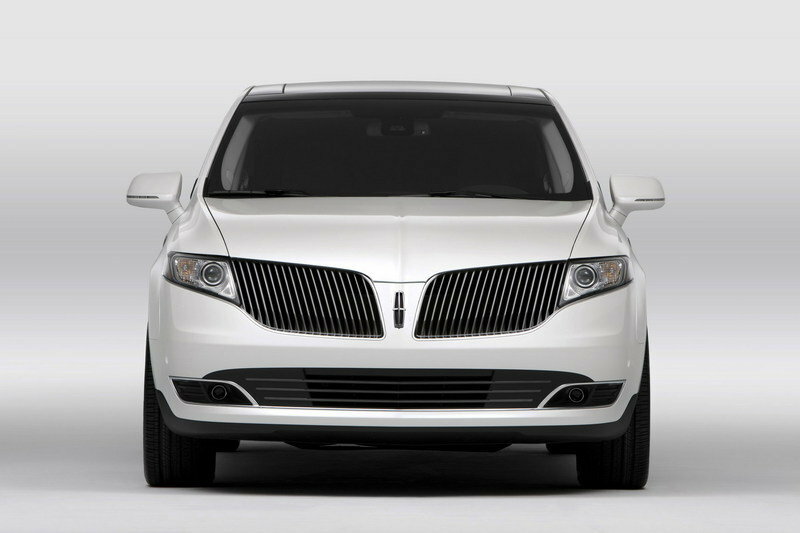 Hit the jump to read more about the 2013 Lincoln MKT. The only modifications made for the exterior of the 2013 MKT is a new grille and front fascia, as well as new wheel selections. "The effort behind the new look was to change the proportion of the MKT from the front view. 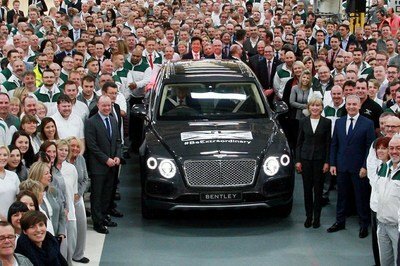 We helped make it feel wider and a bit less tall, less vertical," said Max Wolff, Lincoln Design director. "The execution of the new MKT’s grille and the grille bars is a lot more refined and elegant. The new front graphic displays a lot of three-dimensionality, but it’s accomplished in a calmer, more restrained way." The interior combines functionality, styling, and safety wit a number of features. 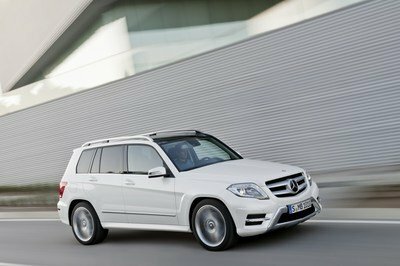 It gets a standard Panoramic Fixed-glass Vista Roof and a three rows of seating configured in six- and seven-passenger alternatives. The second-row seats can also be heated and cooled, and the popular second-row refrigerator can still be had as an option. The first two rows of seats are covered in Bridge of Weir leather with French and Deck seams. Bridge of Weir makes their leather using a unique organic tanning method, which produces leather free of chromium – making it one of the most environmentally friendly and fully recyclable leathers available. Environmental awareness continues with the soy foam made seat cushions, head restraints, and seat backs. Other features for the interior include standard 12-way adjustable front seats, adjustable pedals, and a power tilt/telescoping steering wheel. The steering wheel can come heated as an option, with a thin metal element under the wheel’s leather-wrapped rim raising its surface temperature from minus 4 degrees Fahrenheit (minus 20 degrees Celsius) to 74F (23C) in five minutes. 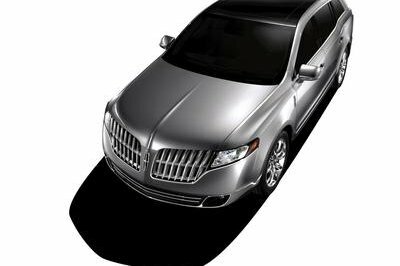 The 2013 Lincoln MKT is also much quieter than the 2012 model thanks to additional noise barriers and absorbers placed in the front wheel wells, around the shock towers, under the hood and in the trunk. The MKT driver will also enjoy the latest upgrade of the MyLincoln Touch hardware that features a central speedometer flanked by two full-color reconfigurable LCD screens. The 4.2-inch LCD screens are controlled by five-way buttons on the steering wheel. The 8-inch multi-function LCD touch screen dominates the center stack and provides the visual and control interface for the entertainment system, phone, navigation, and climate control. Joining the improved MyLincoln Touch are two audio systems, both controlled through MyLincoln Touch. The standard system includes AM/FM/CD/MP3/satellite sources playing through a 210-watt system that drives eight speakers. As an option, customers can get the THX II Certified Car Audio System with 700 watts and 14 premium audio speakers for home-theater sound on the open road. These systems include AM/FM/CD6/DVD/MP3/HD Radio, an auxiliary input jack, and a USB port, as well as a six-month SiriusXM satellite radio subscription as standard. The Sirius system can also be upgraded to add SiriusXM Traffic and SiriusXM Travel Link with voice-activated navigation controls for coast-to-coast weather data, forecasts, fuel prices, sports scores, movie listings and more. 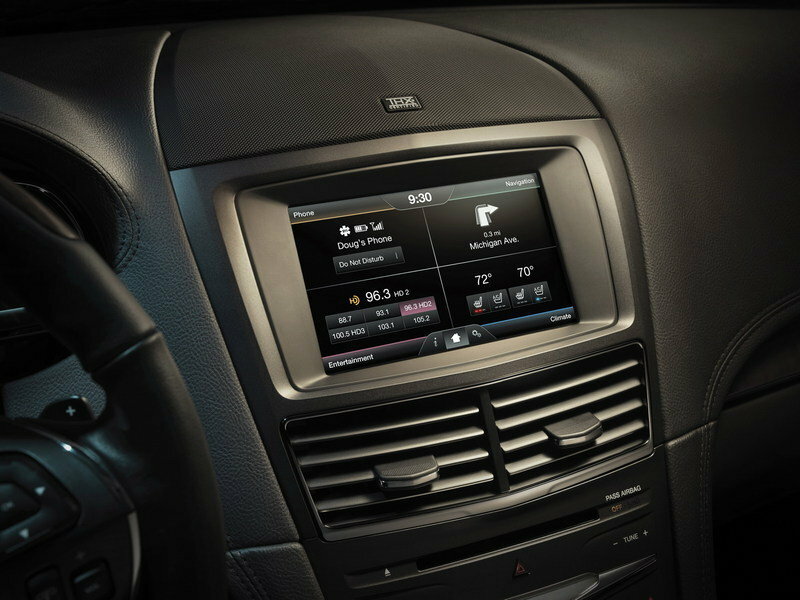 The 2013 Lincoln MKT features the next generation SYNC system with new, simpler screen designs to improve the user interface. The screens have larger and bolder fonts making them easier to read. The SYNC system also provides standard Operator Assist which allows users to connect with a live person free of charge and enables the vehicle to turn into a Wi-Fi hot spot to operate gaming systems, PDAs, tables, and laptops. The standard engine for the AWD 2013 Lincoln MKT is a more powerful and efficient 3.7-liter V6 that includes twin independent variable camshaft timing (Ti-VCT). Compared to the previous year’s model, this engine has been increased from 268 to 300 HP and fuel economy ratings of 17 mpg city and 25 mpg highway, a 1 mpg highway improvement. For customers who need a more powerful engine, Lincoln is also offering a twin-turbo 3.5-liter EcoBoost V6 that provides V8 performance with the fuel economy of a V6. It delivers a total of 355 HP at 5,700 rpm and 350 lb.-ft. of torque from 1,500 to 5,250 rpm. Fuel economy is projected to be 16 mpg city and 22 mpg highway. The MKT will be offered with two versions of the six-speed SelectShift Automatic transmission, both with steering wheel-mounted paddle shifters. The 3.7-liter Ti-VCT V6 uses the 6F-50, and the more powerful 3.5-liter EcoBoost V6 uses the heavy-duty 6F-55. This transmission features high-energy friction materials, a larger ring gear, and a specific torque converter that optimizes the 6F-55 to handle the high-torque output of the twin-turbo 3.5-liter. Other features assisting the engine are electric power-assisted steering, Active Park Assist, and an improved braking system. The brakes consist of new vented front discs that measure 13.86 inches (352 millimeters), more than an inch larger than 2012, and rear discs measuring 13.58 inches, a 0.58 of an inch increase of the 2012 model. 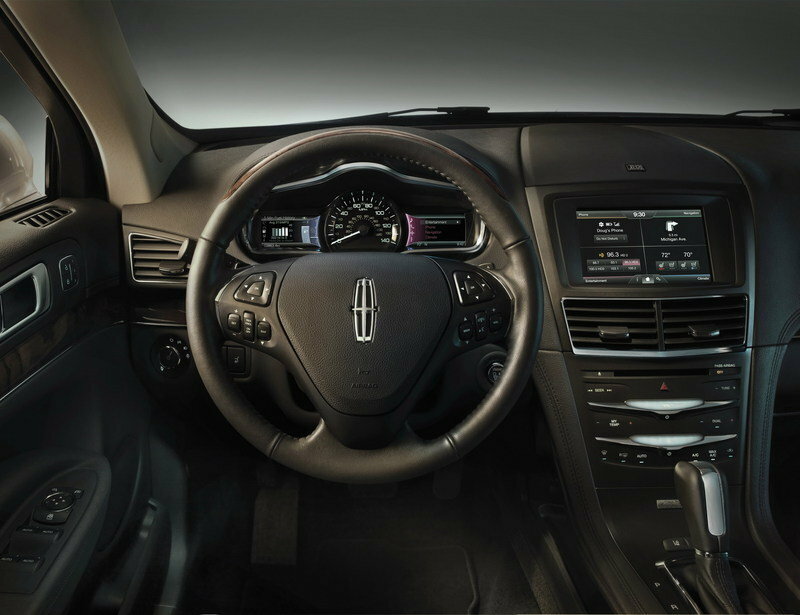 The 2013 Lincoln MKT will now ride smoother and handle better with the use of Continuously Controlled Damping (CCD) in the model equipped with the optional 3.5-liter EcoBoost V6 engine. The CCD utilizes 46 inputs to feed data to a sophisticated control unit that continuously monitors more than 23,000 packets of information per second. It then reacts to the data by calculating the optimal damping force every 2 milliseconds or 500 times per second. What this means is that the CCD system can read the road surface and adjust the suspension in real time to avoid damage. Normal mode: Used for everyday driving. Sport mode: Used for performance-oriented driving. This setting switches the suspension to a firmer sport range allowing for 25 to 30 percent more control than in Normal mode. The electric power-assisted steering also recalibrates and traction control and electronic stability control settings are also modified. The transmission also upshifts at a higher rpm, downshifts become more aggressive, and the transmission will hold gears longer. Comfort Mode: Used for a more relaxed driving experience. When switched to this mode, the dampers will exert 10 to 15 percent less control compared with Normal. The 2013 Lincoln MKT comes packing plenty of safety features and driving aids, including six airbags, anti-lock brakes (ABS), traction control, and AdvanceTrac with RSC (Roll Stability Control), among others. Curve control: Maintains control if a curve is take too quickly by automatically applying the brakes to reduce vehicle speed by up to 10 mph in approximately one second. Lane Keeping System: Helps drivers avoid drifting out of their lane. This tool needs to be activated by the driver and will utilize a forward-facing mono-vision camera mounted behind the rearview mirror to begin looking for lane markers. 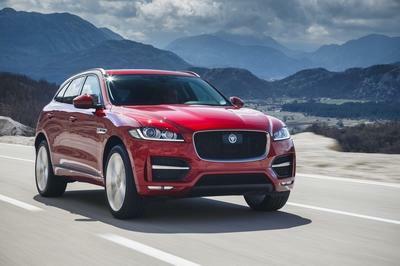 Collision Warning: Does just what its name suggests with a forward-looking, long-distance radar. If a threat is detected, the system warns the driver with an authoritative beep and a simultaneous red warning light projected on the windshield. Adaptive Cruise Control: Utilizes the same forward-looking, long-distance radar as the collision warning to monitor and adjust the speed of the MKT to keep it at a safe distance behind a lead vehicle in the same lane, even in fog or heavy rain. BLIS (Blind Spot Information System) with cross-traffic alert: Uses radar to detect vehicles in your blind spot. The driver is alerted with a light that shows up on the corresponding sideview mirror. 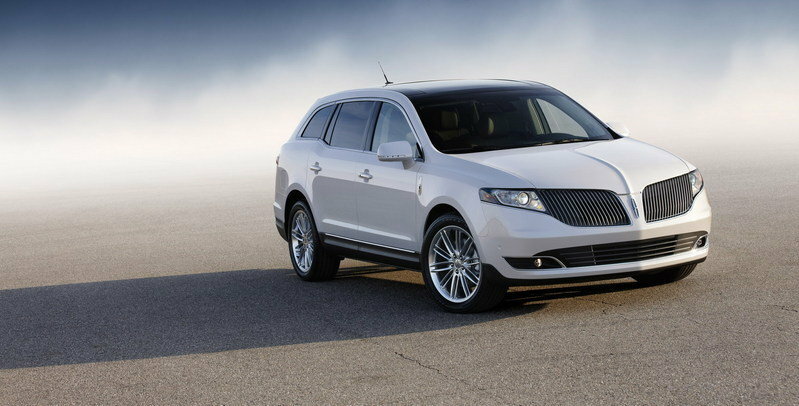 The new Lincoln MKT will go on sale in the spring of 2012. Prices will be announced at a later date. 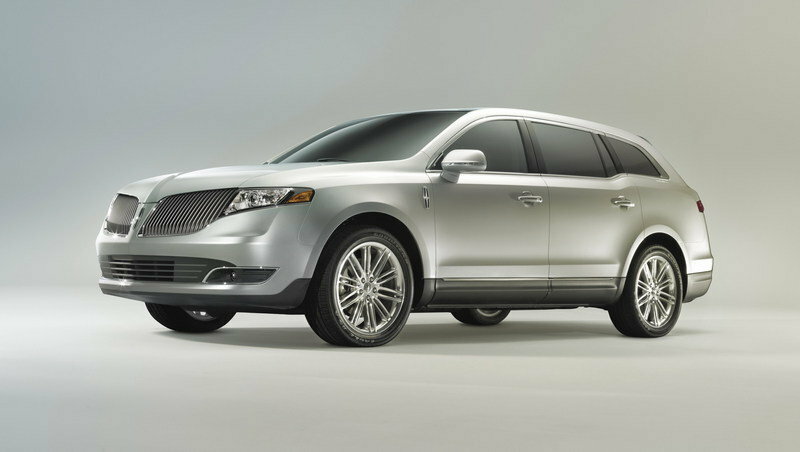 The list of competitors for the new Lincoln MKT includes models like the Acura MDX and the Audi Q7. Lincoln has promised that, in its standard version, the MKT will deliver more power than both of these models. The MDX uses a 3.7-liter V-6 engine that delivers a total output of 300 hp and 270 lb-ft of torque. 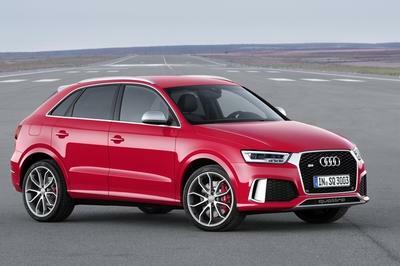 By comparison, the Q7 will be offered with a choice of three new V6 engines (two gasoline and one diesel) and an 8-speed tiptronic transmission. 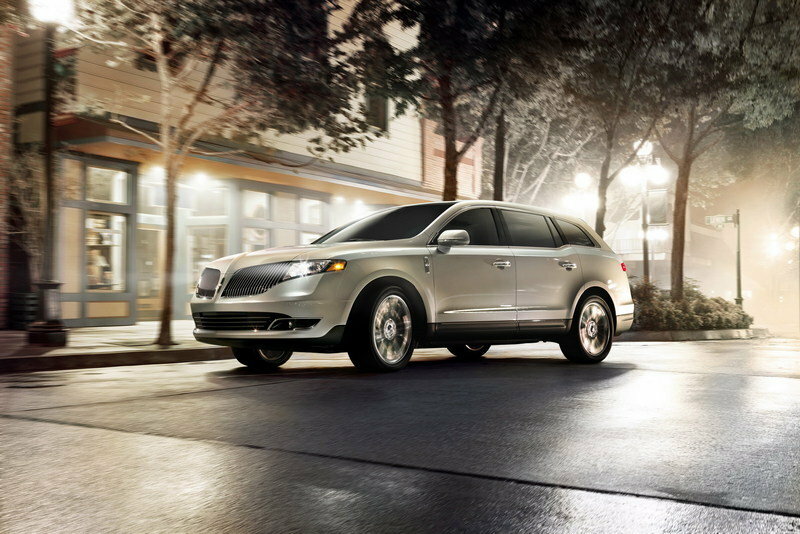 2013 Lincoln MKT offers abundance of high-tech goodies inside its luxurious interior. The exterior design has no real modifications. This car comes with a new twin-turbo 3.5 liter EcoBoost V6 engine. 300hp and it doesn’t look powerful. I must say that I was impressed on how they make this as mighty as it can be. The interior is sporty and charming. The LCD screen is just fitted into perfection. Perfect! I’m so impressed with this MKT even though I also find it looks like a BMW vehicle because on its front grille. Moreover, I think Lincoln should use a boost engine for their next future vehicle. I’m so impressed with its dressed-up interior! It looks very cool and stunning on that, and I’m really interested on its technology. I just only hope as well that it has a powerful engine. I’m so impressed with the CCD system of this MKT! Well, it is really no doubt if it becomes too expensive on its market production because it is truly had tons of interesting and impressive technology. Even though its interior looks boring because on its color, I’m still so fond with this for the fact that it has tons of entertaining technology. Moreover, I have to agree that it already looks great with its body paint. 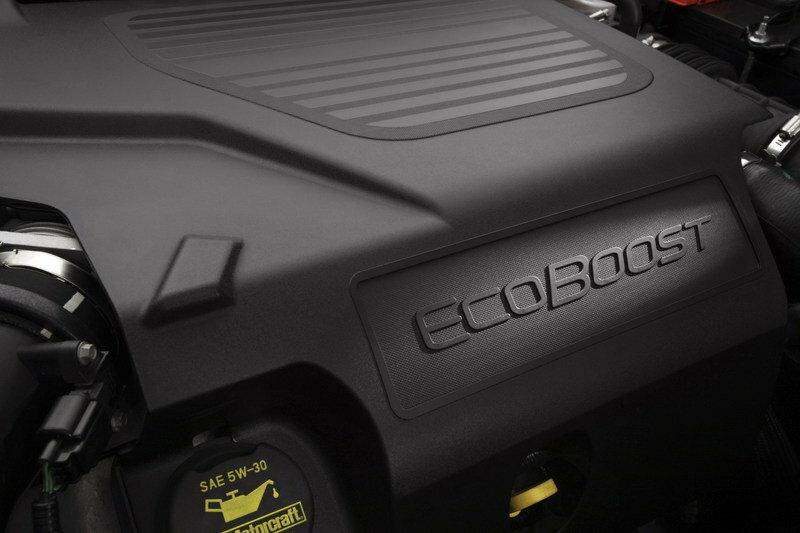 Its EcoBoost V6 engine is already so satisfying for his vehicle. Well, for me, it doesn’t need to have a great engine just like what the other cars have because on the fact that it is not a sports car. Yeah! It will surely be too expensive because on that technologies, and that’s the only good thing that they could offer because on the fact that it doesn’t have an efficient engine. Well, I would rather to have a Mercedes than with this one. I think they should use a lighter color on its interior, so that it will look more cozy and impressive! Anyway, I love the fact that it had lots of technology, but they are right that it will only boost its market price. Yeah! I also noticed that even though it only looks so simple and ordinary on its exterior appearance, its luxury interior recovered it. However, I still find that its competitor is more powerful than on it. MKT is very practical for everyday transportation on work and school and so reliable also on a road. I love the platform design of this car. It is really an impressive vehicle. I love the one line in the middle of its front bumper! It looks so cool with that, and it only adds more aggressive and appeal on this SUV! Anyway, I love the decent and hygienic body paint that they use on it. Just like their MKS but I like it more than to MKS for it looks more elegant and classy on its exterior detailing. Anyway, I’m so impressed also with the power output that they use on it. Lincoln MKT had the same platform and styling to their MKS but despite that I’m still impressed with the exclusivity of this vehicle, and it is already looking great with its body paint, looking so neat and cool! It didn’t really look great on its exterior but just like them. I’m also so fond with its interior technology, but I’m sure it will undoubtedly boost its price. Anyway, the engine is kind of impressive. The interior of this MKT is truly very impressive on its classy feature, but I think it is better if they use a lighter color than what it had now. Anyway, I’m so impressed with its exterior detailing. I love the exclusive styling on its interior and for being so spacious either! Anyway, I don’t think that its engine is good enough for this SUV. I think they should reinforce it more.